Deadlines. This blog has one: every Friday by 6am. 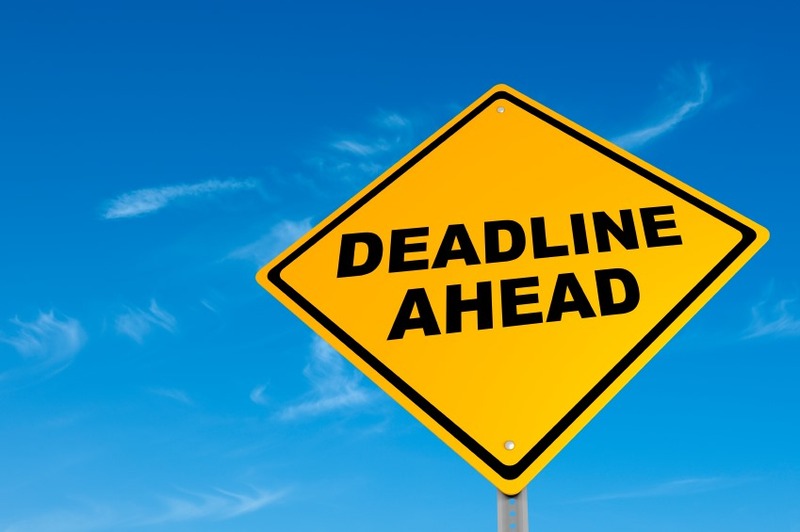 Have you ever wondered where the word “deadline” comes from? The term was used in war times when prisoners could not be kept within structural boundaries or walls. Captors would keep prisoners within an imaginary, real or painted line called a “dead line.” If the prisoners touched or crossed this line, they would be shot and killed. No wonder when our world is filled with deadlines, we can feel trapped and imprisoned by our own schedules to the point we feel dead to the life around us. Can I encourage you to break free of deadlines by building margin into your life for the things that matter: time with loved ones, time with your creator, time of rest. Put it in your schedule and make it happen. We live in a world that has the ability to rob us from the important while we are running around trying to finish the urgent. The urgent makes us busy but doesn’t give us the margin to live freely and spontaneously in the moment. I have learned that the urgent things in my life mostly either arise from those around me who are not as disciplined with their important or where I have failed to take control of my own important. As a pastor, I would encounter couples who needed to see me “now.” They were desperate for help in their marriage which had unfortunately suffered neglect, causing an urgent situation. If we put off the important, it soon becomes the urgent, and urgent means rushed and rushed means less than best. Instead, I encourage you to address the important, yours or someone else’s, before it becomes the urgent. Remember that today’s urgent is yesterday’s important that didn’t get done because yesterday I was busy doing the urgent of the day before. Listen to your heart. Love that will direct you to the important things and people in your world, trust your heart. Use your mind. Don’t just react to things but respond with wisdom and thoughtfulness with a focus on your values and what really matters to you. Understand that every yes has a no attached and every no has a yes attached. When you learn to say no, it is a sure way of saying yes to the important. There is enough time today to do all that is important. Choose wisely. “Trial of Henry Wirz,” Report of the Secretary of War, Oct. 31, 1865. All I can say is wow! Profound! Thanks Clare. Hope it helps in some way. Brilliant Phil. It is important for me to say to you today that you are a supreme encourager and builder of people. Thanks Mark. Really appreciate your encouragement as well. You always have such great advice, Phil. I needed this. Thanks Bill, I hoped it helped.Most times Im just reminding myself.